New Zealand Mint has revealed details of the second coin in its Inventions of Leonardo da Vinci coin series. 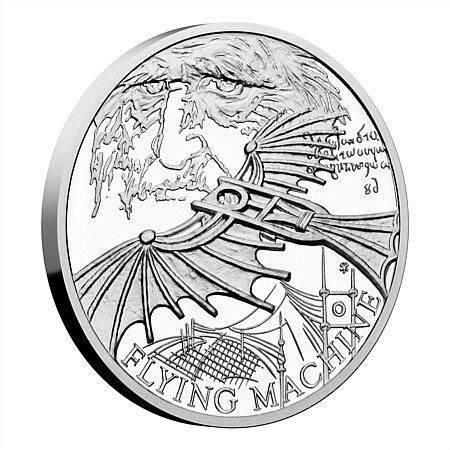 The 1oz silver coin features da Vinci's design for a flying machine, just one of many designs which the 15th-century inventor dreamed up. His design was inspired by the birds in flight that he had observed and his study notes reveal that he also observed bats in flight. The four-coin collection is issued on behalf of Niue to mark the 500th anniversary of the death of Leonardo da Vinci. Designed by Asamat Baltaev, DiS. To order, visit the New Zealand Mint website.